Here is the trailer from the upcoming film “BORN RACER” The film is directed by Bryn Evans. A powerful and inspirational story of dedication, danger, fear, and the rare ‘will’ some of us have to defy all personal limitations. Experience the fastest motorsport on earth through the eyes of four-time champion Scott Dixon and the Chip Ganassi Racing team. 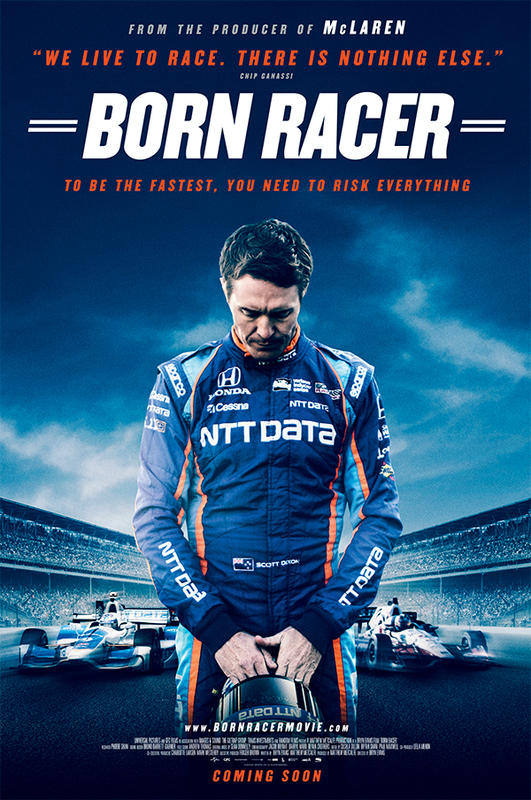 Filmed with an access all areas lens, BORN RACER follows the people who are passionate about the world of auto racing and asks why some individuals feel compelled to face danger and risk their lives in order to win. Both action-packed and highly-intimate, it features an intense blend of up close and personal filming with never-before-seen spectacular, cutting-edge racing footage to explore a sport that defines the very people who inhabit it, and pushes them to the edge in their desire for success.